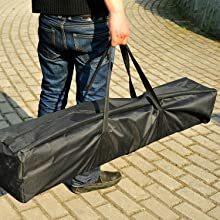 Outsunny has got you covered! Our new 10' x 10' mesh wall pop up tent is perfect for anyone who wants to have the airy feel of open walls, but without having to deal with bugs all day long. Composed of a rust-resistant powder-coated steel frame that will ensure your tent can stand strong through all kinds of weather conditions. Mesh walls remain more stylish than regular walls, giving a more elegant and professional look and feel while zipped door are included for easy entry. 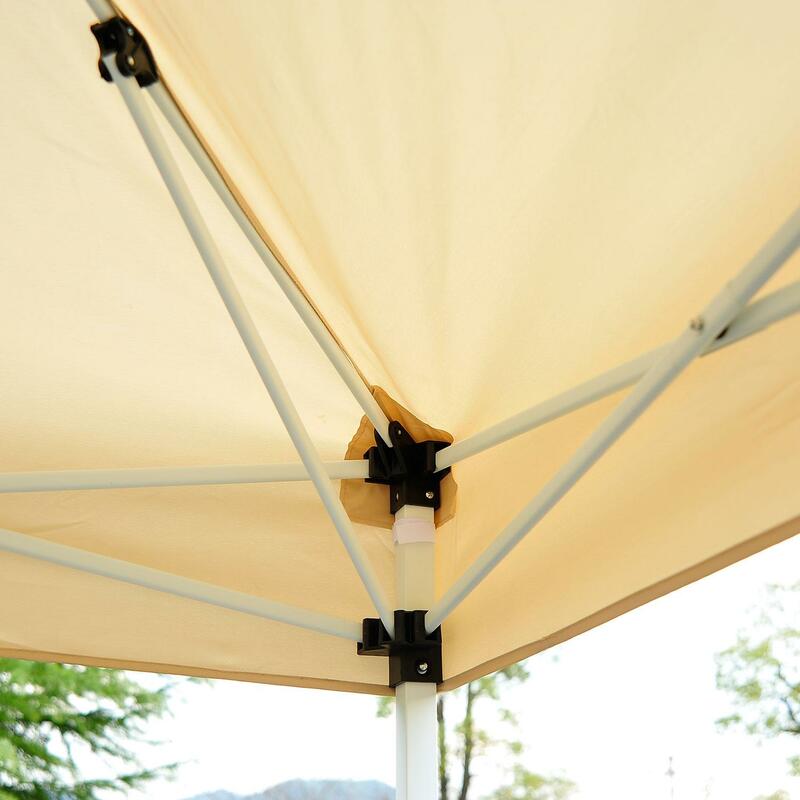 Your pop-up canopy will keep you dry in the rain and protect you from the sun in hotter conditions. Low profile design folds down small, making this canopy easy to carry and fit in the trunk of most cars. Wasting away in the summer heat? Thankfully Outsunny has got you covered! 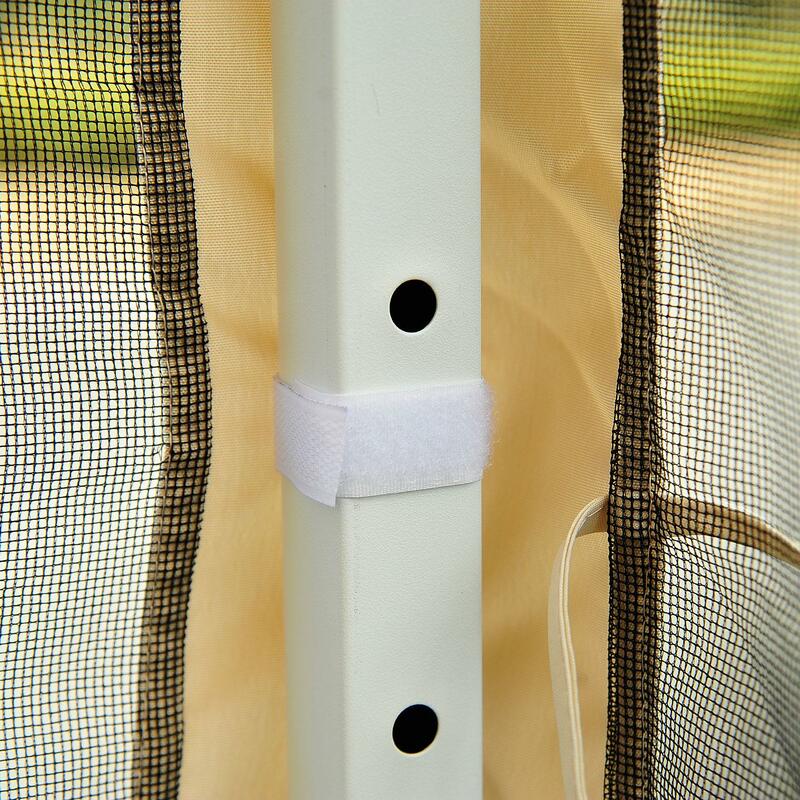 Our new 10' x 10' mesh wall pop up tent is perfect for anyone who wants to have the open air feel but does not want to deal with bugs all day long. 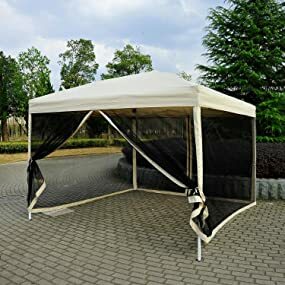 Perfect for any occasion including family gatherings, picnics, weddings, or flea markets, this tent provides a place to relax away from the sun’s harmful UV rays while remaining protected from pesky insects. This easy pop-up canopy features a rust-resistant steel frame with an easy pop-up design so you can have your tent set in a matter of minutes. 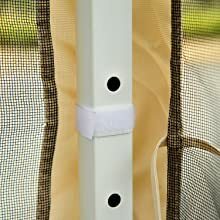 Elegant mesh walls attach to the frame with simple hook and loop fasteners and can be removed when needed. 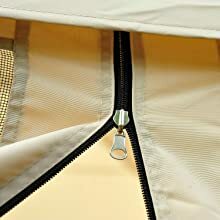 This feature pack pop up tent has all the style and versatility you are searching for. - Outer dimensions: 116" x 116"
- Low point of side wall at highest total height setting: 70 1/4"
- Highest interior point: 100"